Waiting seems to be the name of the game right now. Waiting for Spring. Waiting for the snow to melt. Waiting for our kitchen project to be complete. Waiting for the new baby. In an attempt to not go (too) stir crazy we have been striking out and going to museums, on coffee dates, and most recently house crashing (sitting) a friend's place while they are out of town and we needed to vacate our house for a few days. who knew going and staying at a friend's house with "new" toys would be such a darn thrill! One of our most recent outings started at Diesel Cafe and then we took the train to the Harvard Museum of Natural History and we completed the trifecta with lunch at Clover. We had a busy day that was not centered around the waiting game. One of the aspects that I love about where we live is the walkability. 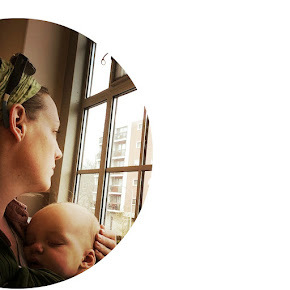 And it is also one of things that I have been missing over this long and brutal winter, walking to the coffee shop or out to lunch or to the market. So it was nice to walk to Diesel Cafe with Oliver and sit for a bit with a coffee and a shared croissant before venturing out for the rest of our day. And although the MBTA is not the biggest or the most far reaching and boy, did the trains get bungled up this winter I still am happy that we have the access to strike out without getting in the car. Walking through the Harvard Yard to get to the Harvard Museum of Natural History. Now I will say this, although Oliver is mostly really good about walking around town he still has melt downs about it taking too long to get somewhere and that his feet are too tired and he cannot possibly go on! It drives me crazy but usually if you just keep walking he will too and even though the tears and drama rear their ugly heads once we are at the destination he is fine. Frankly, he usually cheers up and is proud of himself for walking all the way! Oh why can't he just remember that in the moment. Ok so the Harvard Museum of Natural History is a quirky place. It is a bit like going through a time warp in some respects. The museum if a conglomerate of fossils (including the massive Kronosaurus, above), specimens of bugs and birds, the great mammal hall (of taxidermy) dating back to 1872, and an exhibition of delicate glass flowers. Like I said, a quirky spot. but it is a fun place to walk around with kids and try not to get too grossed out by all of the ancient taxidermied animals from bats to bison and even a giraffe. The two leveled Great Mammal Hall is a vintage, slightly creepy experience but it is also a neat way to see a bunch of animals in one spot. after the museum we hit up our favourite lunch spot in Harvard Sq. (ok, my favourite place), Clover. goofballs waiting for pita bread, Venezuelan Plantain sandwich, hibiscus iced tea and rosemary french fries...YUM! 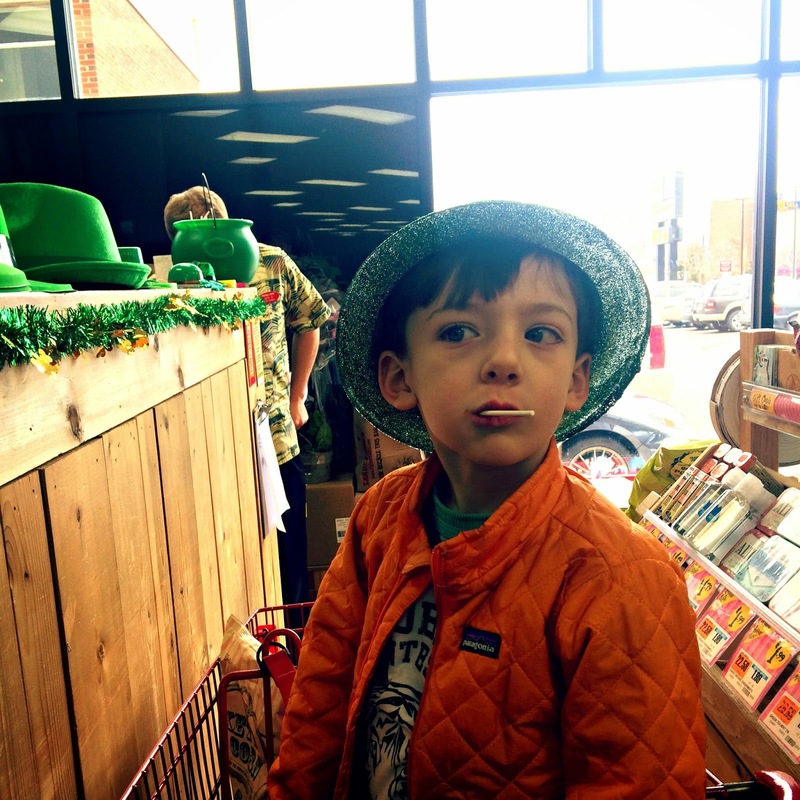 and to close, a cheeky St. Patrick's day photo where by the luck of the Irish, Oliver found "Freshie" the frog at Trader Joe's and he got a lollipop. day. made. So here we wait. Wait for the warm sunshine to accompany us on our walks and local excursions. come on Spring!